Dark habitats are environments where the luminosity is extremely weak, or even absent (aphotic area) leading to an absence of macroscopic autochthonous photosynthesis. The bathymetric extension of this lightless area depends to a great extent on the turbidity of the water and corresponds to benthic and pelagic habitats starting from the deep circa-littoral. 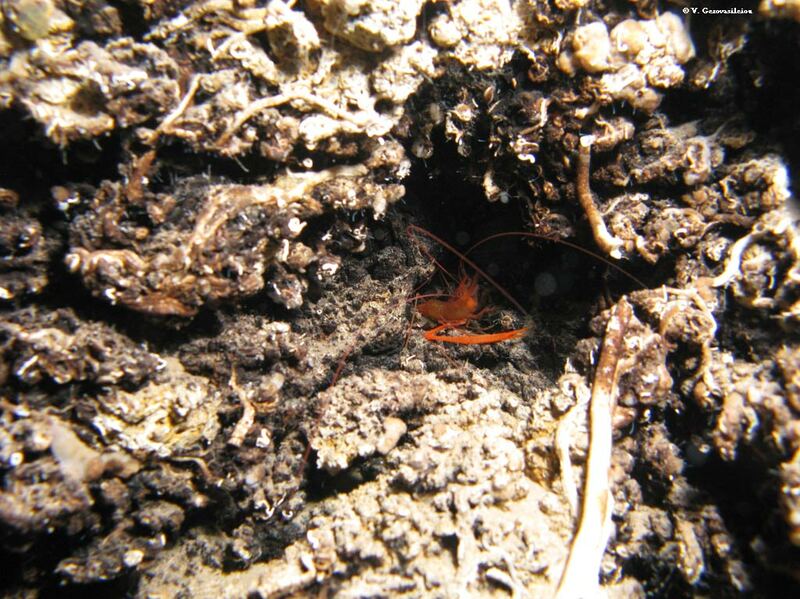 Caves which show environmental conditions that favour the installation on of organisms characteristic of dark habitats, are also taken into account. Dark habitats are dependent on very diverse geomorphological structures (e.g. underwater caves, canyons, slopes, isolated rocks, abyssal plains, cold seeps, brine anoxic lakes, hydrothermal springs and seamounts). Natural habitats that come under Habitat Directive on the conservation of natural habitats and of wild fauna and flora and appear as such as priority habitats requiring protection (Directive 92/43). 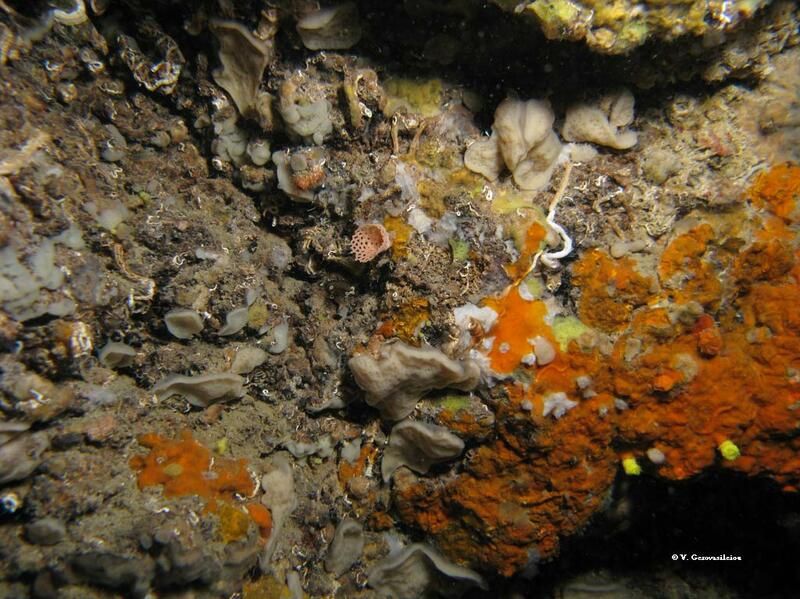 Understanding of these functions is necessary for a better understanding and management of the biodiversity of Mediterranean coastal zones and continental shelf. 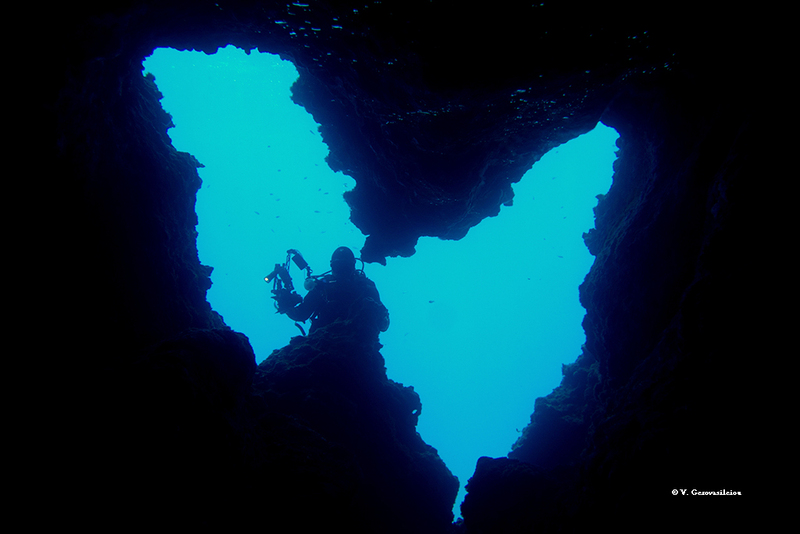 The Action Plan for the conservation of habitats and species associated with seamounts, underwater caves and canyons, aphotic hard beds and chemo-synthetic phenomena in the Mediterranean Sea was adopted in the Eighteenth Ordinary Meeting of the Contracting Parties to the Convention for the Protection of the Marine Environment and the Coastal Region of the Mediterranean and its Protocols (Istanbul- Turkey, 3-6 December 2013). Conserve the habitats‟ integrity, functionality (favourable state of conservation) by maintaining the main ecosystem services and their interest in terms of biodiversity through the establishment firstly of legislative measures, setting up MPAs in secondly and foremost the application and development of regulatory procedures to restrict or prohibit some human activities if they exist. To achieve these goals, public awareness through information and education programs to raise awareness of the dark Habitats, their vulnerability and the importance of preservation and strengthening of national capacities remain indispensable to implement this action plan and develop an optimal strategy for managing these fragile habitats. 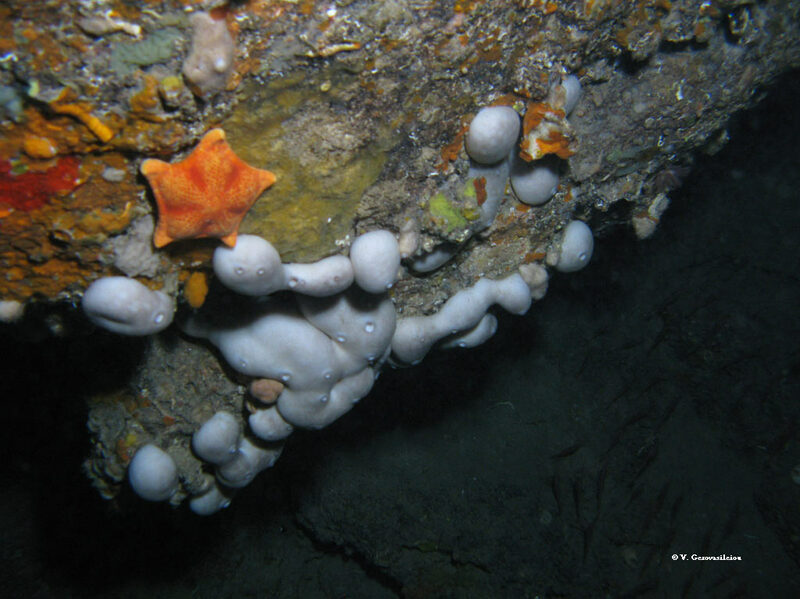 The first Mediterranean Symposium on the conservation of Dark Habitats was held in Portorož (Slovenia), 31 October 2014. This symposium drew attention on the necessity to improve knowledge on the dark populations and their distribution in the Mediterranean in order to establish international cooperation networks and to facilitate sharing the experiences between the different Mediterranean countries. During the different sessions, a great effort was made in order to collect existing information on the distribution of canyons, caves and escarpments, the connectivity between dark habitats populations, their biodiversity and their community's functioning. A particular attention was also given to the pressures on these different types of habitats and to the possibility of their impact evaluation. UNEP-MAP-RAC/SPA. 2015. 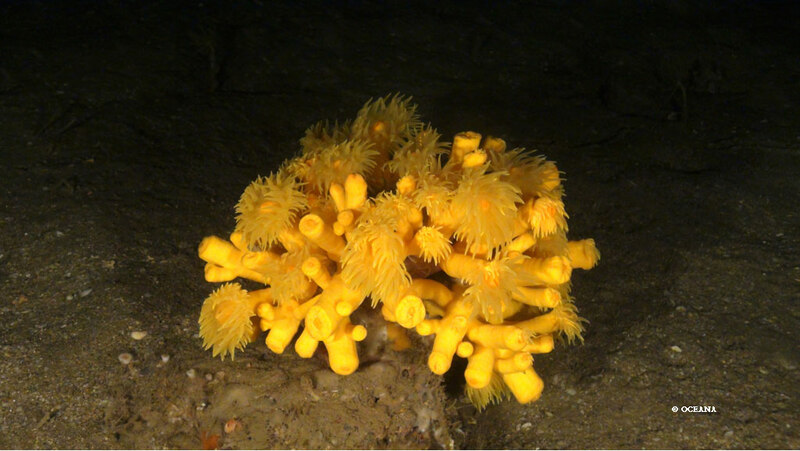 Action Plan for the conservation of habitats and species associated with seamounts, underwater caves and canyons, aphotic hard beds and chemo-synthetic phenomena in the Mediterranean Sea. Dark Habitats Action Plan. Ed. RAC/SPA, Tunis: 17pp. Click here to access the PDF. UNEP/MAP – RAC/SPA, 2014. 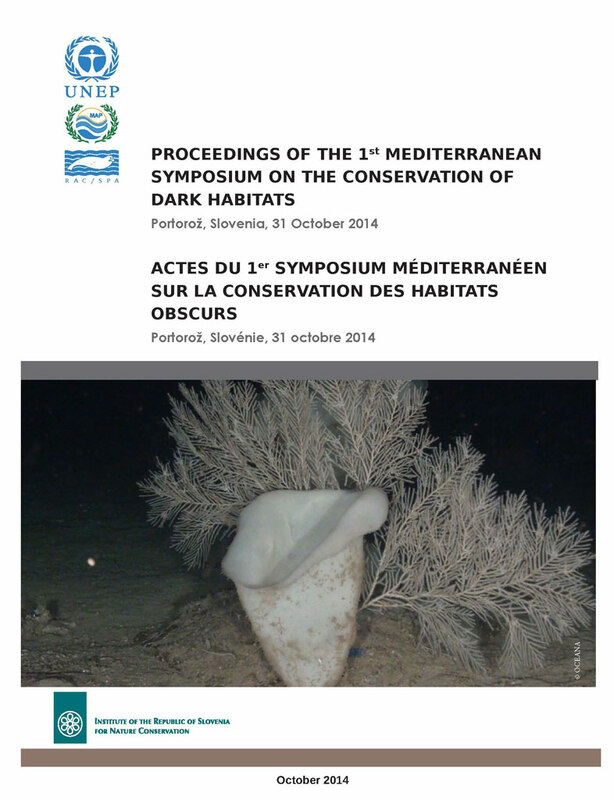 Proceedings of the 1st Mediterranean Symposium on the conservation of Dark Habitats (Portorož, Slovenia, 31 October 2014). LANGAR H., BOUAFIF C., OUERGHI A., edits., RAC/SPA publ., Tunis: 84 p., ISBN 978-9938-9574-1-9. Click here to access the PDF.